Because of how white snow is (it’s actually clear, but that’s a story for a different day), sunlight hardly gets absorbed on it and bounces right back into the air. And if your eyes are pointed anywhere near there, you’re getting nearly the full brunt of the sun back in your eyes. Do that enough times, and you’ll irreparably damage your eyes from UV radiation. Here’s how to keep them safe from the snow when using your Toro or Ariens snow blower those last couple of times this season. 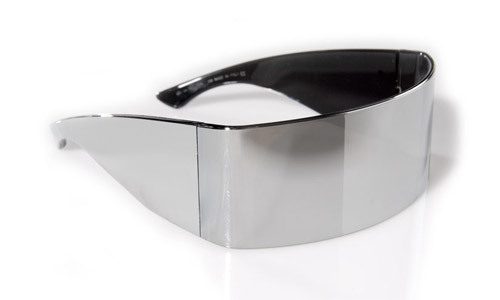 Heading down to your local drugstore and buying a $5 pair of sunglasses—no matter how cool and hipster-looking they are—just won’t do the job at all. At the very least, you’ll need a pair of sunglasses that read 100% UV A/B protection (polarized is even better), and it will cost you a little bit. But look at it this way: you can invest $50 or $100 on a pair of sunglasses once, or potentially spend tens of thousands down the road on eye surgery. Suddenly, that $50 looks like a pretty good deal, no? When looking for sunglasses, try to get ones where they cover as much of your eye as possible. It may be cool to wear granny glasses just like John Lennon did, but they hardly offer any coverage and you’d be much better off adopting a Katharine Hepburn look. It may be tempting to clear the driveway in thin pants and a t-shirt when the weather gets warmer, but skip that for another time and put on layers. This tip isn’t so much to keep you warm as it is to protect you from the sun, as the more clothing that covers you, the better your chance of being protected from a sunburn. Because the weather is still a little chilly, it doesn’t really matter if you wear light or dark clothing. 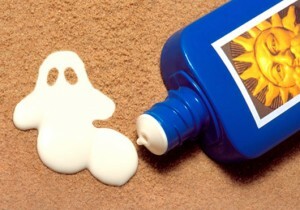 The aim is only to create a barrier between your skin and the sun, not to keep cool in extremely hot weather. Just don’t forget to cover up your ears and neck to avoid getting them sun- and wind-burned. It really doesn’t take much to protect yourself from the sun when using your Toro or Ariens snow blower. But if you live in an area where the snow is still falling with enthusiasm, make sure you look at Snow Blower Source’s selection of Toro and Ariens snow blowers so you can clear your property quickly and efficiently—and covered up from the sun. Now that spring’s officially here and the snow is on its way out, it’s time to start thinking about how you’re going to keep your snow blower safe in storage over the summer. A Snow Blower Source snow blower isn’t a big machine like a car or truck, but its mechanical parts inside need to be taken care of all the same. No matter what tips you read here, they’ll be general ones that mostly apply to all snow blowers. 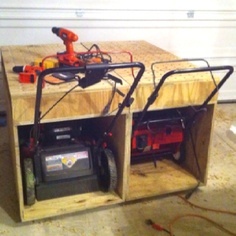 However, there’s usually the case where a homeowner has a snow blower that deviates from the norm somehow, and the owner’s manual is the first place to turn when it comes to safe storage. But other than advising you on your own snow blower, an owner’s manual can also go into a lot more detail than an article can, so always consult with that first. This winter has been an especially harsh one, especially for people in New England the Eastern United States. As such, your snow blower likely got a harder workout than normal this year, so take a bit of time to go over the machine and check if any parts are loose, broken, bent, scraped, worn, frayed, or just in general need of repair or replacement. While all parts are important, pay close attention to the scrape plate and skid shoes, as they’re the most important for actually clearing snow. You need to drain the fuel first, so turn on your snow blower (outside!!) and run it until the engine’s empty. Alternatively, if you don’t want to run the engine dry, you can just add fuel stabilizer and let your snow blower run for five to 10 minutes to clean the lines. The benefits of running it dry are you get to clean it completely from scratch, while adding stabilizer and running it for a shorter time is a better option if you’re in a time crunch. Just like a car needs oil every so many months or miles, your snow blower does, too. A regular supply of fresh oil helps keep all the parts inside lubricated with minimal buildup of gunk, ensuring your snow blower runs smoothly as long as possible. Essentially, all you have to do is loosen the drain plug and collect the oil in a pan—which you should always recycle instead of just throwing away—and then tighten the plug and pour in new oil. 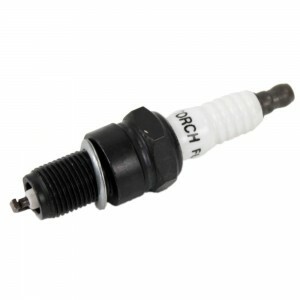 The spark plug is the one bit of the snow blower responsible for ensuring an arc occurs and the machine can power to life. It doesn’t have to be replaced every season or every year, but you should be looking at it that frequently. If you’re at all unsure about what a good or bad spark plug looks like, just buy a new one and put it in; they’re not very expensive. Some snow blower owners also like to remove the spark plug over winter so it doesn’t get contaminated with grime, but it’s not a mandatory step. If you do decide to remove it, though, store it in a clean and dry place for maximum upkeep. The warmer weather is slowly starting to poke its head out from around the trees and bushes, and that means it’s time to look at storing your snow blower over the winter. If you don’t have a snow blower from Snow Blower Source, though, now’s a great time to get so you’re ready when the next winter hits. And remember, you always get free shipping to the lower 48 states.